We had thought these disks to have been lost when we moved from Eastbourne to Middlewich over 4 years ago. To our surprise the Master disks of these collections (and some of our other Technics software) were recently found boxed in our loft, consequently, we have released them again. As we do not have the original instruments to make downloadable masters they need to be ordered on disk by post. 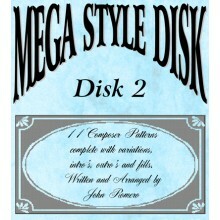 All the disks below were written by John Romero and are his original material. Please note EN4, GN6 & GN9 versions were originally branded as Super Style Disks, we have rebranded them back under the Mega Style brand name. Ten Styles complete with intro's, endings, fills & registrations for Technics EN4 & GN6 ..
Eleven Styles complete with intro's, endings, fills & registrations for Technics GN9 Organs. The.. 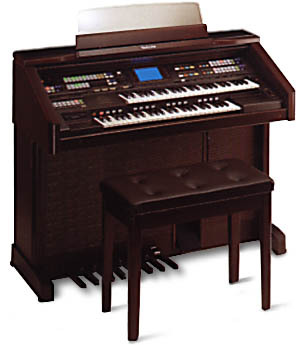 Ten Styles complete with intro's, endings, fills & registrations for Technics GN9 Organs. These .. Ten Styles complete with intro's, endings, fills & registrations for Technics GA Organs. These a..
Eleven Styles complete with intro's, endings, fills & registrations for Technics GA Organs. Thes..